If it wasn’t for a man named James Duane Doty, Madison would not be what it is today. Doty was solely responsible for the creation of Madison and for getting the city selected as the state capital of Wisconsin. Doty first came to Wisconsin in 1820 as part of the Lewis Cass Expedition. Soon he became a congressional delegate for the Wisconsin Territory and then our state’s second governor in 1841. It was in 1829 when Doty made his real mark though. He purchased over 1,200 acres of swamp and forest land on the isthmus between Lakes Mendota and Monona, hoping to build a city and get rich. When the Wisconsin Territory was created in 1836 a temporary capital was built at Belmont, Wisconsin, until a permanent location could be decided on. Doty lobbied (bribed) hard for Madison to become the new capital. He named the city after the recently deceased James Madison, fourth President of the U.S., and named the streets for the other 39 signers of the Constitution. 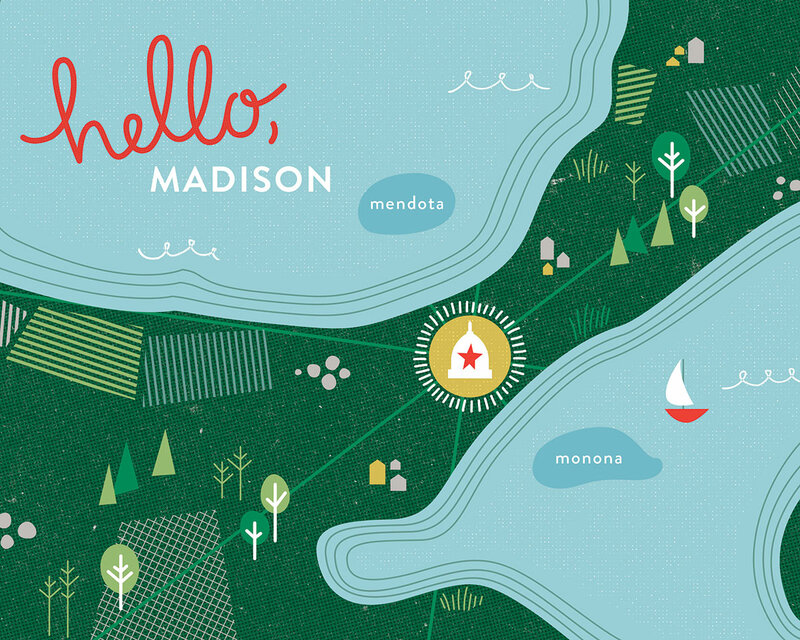 Madison existed only on paper, but still the territorial legislature voted in favor of the city as its capital, largely because of its central location. Construction on the city began in 1837.